2 When can I visit the dune? There are no specific opening hours. 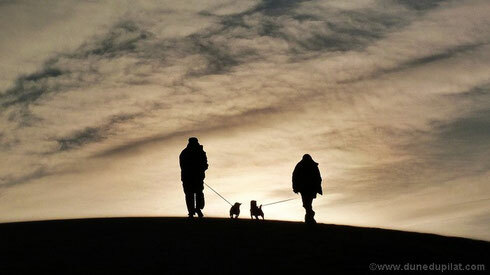 The dune can be visited at any time and in any season. 3 How much is the entrance fee? 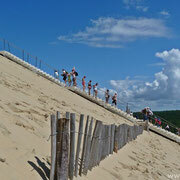 You can visit Dune du Pilat for free. 4 Is there any car park near the dune? 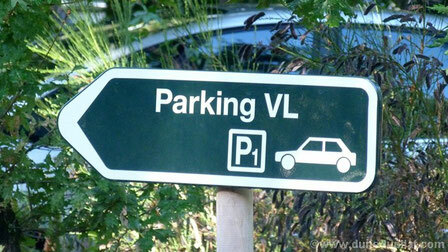 Yes, there is a large parking lot for cars as well as for coaches. This car park is at 400 metres from the dune. 5 Does the dune keep on moving? Yes, according to scientists it is moving 1 to 5,5 meters inland each year. 6 Am I allowed to take my dog to the dune? Yes, but dogs should be kept on a leash. 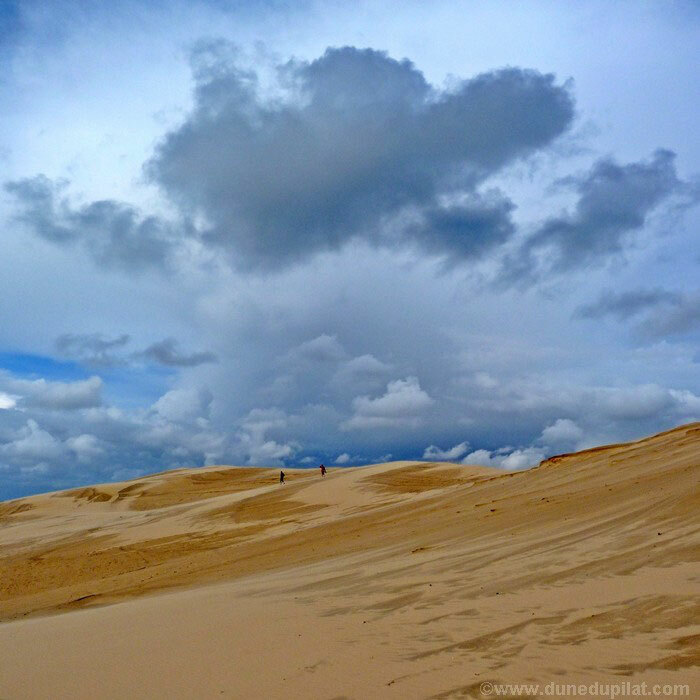 7 What is the best time to visit the dune? Hard to say! Of course, this also depends on what you expect from your visit. In July and August, there are many people visiting the dune and you could be stuck in traffic and finding parking space could be difficult. 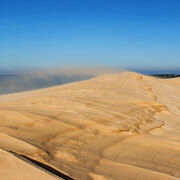 So, June and September could be ideal months to visit the dune, while taking advantage of mild temperatures. 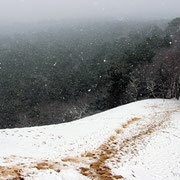 However, it is worthwhile visiting in any other month, even in winter! 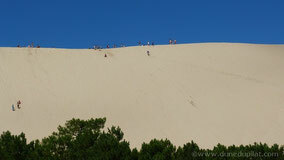 8 Where can I stay near the dune? 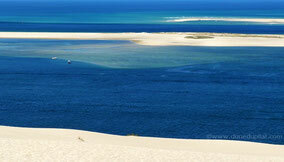 Right at the Dune du Pilat, there are 5 campsites with mobile homes and there is also a luxury hotel. In addition, you can book a hotel, apartment or bed and breakfast within a radius of a few kilometers (e.g. 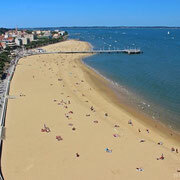 in Arcachon or La Teste de Buch). 9 Is there any restaurant near the dune? In the high season some snacks/restaurants have opened between the parking lot and the dune, where you can take small meals. 10 How long does it take to go to Bordeaux? It takes about one hour to go to Bordeaux by car. But you might get caught in a traffic jam, especially in summer, at weekends or on public holidays. If you want to take the train, you will first have to go from Dune du Pilat to Arcachon railway station by bus and then take the TER or even the TGV to Bordeaux St Jean railway station. 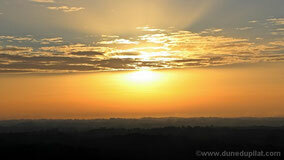 From there, you could also take the shuttle bus to join Bordeaux Airport.